EAGLE, ID — February 21, 2017 – The Alturas Real Estate Fund has acquired the Parkway Plaza Shopping Center located in Idaho Falls, Idaho. The 75,300 SF retail property is a milestone acquisition for Alturas as it increases the geographic footprint to include the eastern region of Idaho. This is the fifteenth commercial real estate acquisition since September 2015 for the Alturas Real Estate Fund, having also acquired properties in the Boise and Twin Falls area of southern Idaho, as well as Central Washington, the Puget Sound Region, and Phoenix. Parkway Plaza is centrally located within the stable yet quickly growing Idaho Falls region, with high traffic counts and excellent grocers anchoring the retail trade area. 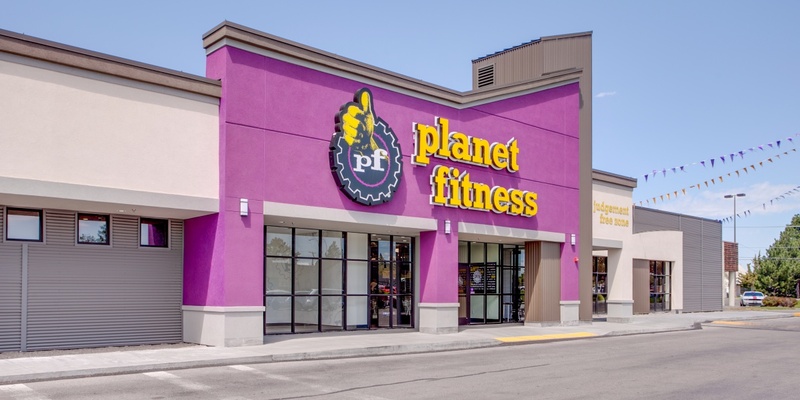 In late 2017, Planet Fitness executed a lease to occupy a large portion of the center. Planet Fitness recently completed their tenant improvements and opened for business on 12/31/17. “This is a great property, positioned very well within this market with significant additional value to be created as we execute our value-add strategy”, said Director of Acquisitions Devin Morris. "Not only does this property provide additional upside through leasing the vacant space, but there are also two vacant pad sites that will be appealing to fast-food and other pad users. Developing those two pad sites and potentially adding national tenants should further enhance this property." Alturas is working with the Thornton Oliver Keller leasing team in Idaho Falls to find users for the pads and fill the remaining vacancy. “We are looking forward to applying our proven model to this asset and working with our tenant partners to see the asset reach its full potential. While the property has suffered through a series of unfortunate events, at its core it is great real estate, and with the proper investment it will once again be the excellent community asset it should be,” said Alturas Capital Partners President Travis Barney. Alturas invests in the growth markets of the Western US. Idaho Falls, Idaho fits that criteria very well, being one of the most vibrant markets in the fastest growing state in the nation. The property was acquired through C-III, a special servicer from which Alturas has acquired other Fund assets. Mike Erkmann of NAI Select sold the property on behalf of C-III.